Derek Selinger is a Calgary-based illusionist, speaker and corporate mind reader. With over two decades of experience, he has an extensive entertainment range that he has honed through a passionate dedication to his craft. "Derek had our group on the edge of their seats. His show was equally entertaining, exciting and nerve-wracking. The show’s production is incredible and something you’ll want to see all over again the moment it ends. The only problem is, you won’t be able to find someone else to top his performance!" "Derek Selinger’s The Gift was the culmination of a lifetime of dedication to his craft—and it showed. From the opening illusion to the final curtain, the audience was amazed, entertained and most importantly, inspired. Derek not only showcased his skills but emotionally connected with the audience. It was an amazing night!" Derek Selinger is in the business of storytelling, and tells stories through the art of magic. As a professional Illusionist, he has been the choice of audiences on five continents for almost two decades. He has entertained millions all over the world on six major television networks, including the Discovery network, Fox News in New York City, CTV and Global, and has performed on some of the world’s most beautiful stages, including in New York City, Las Vegas, Malaysia and Paris. 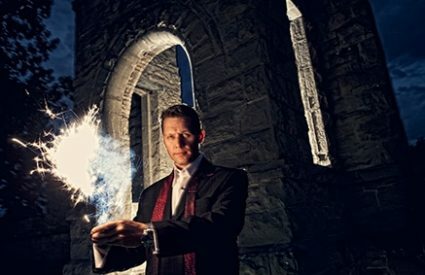 A winner of six international awards (including the People’s Choice Award from the International Brotherhood of Magicians), Derek has wowed audiences all over the world. He is a multifaceted storyteller, also performing for corporate audiences, speaking to youth, and even writing theatrical productions from the ground up. Also an accomplished filmmaker, his films have screened at film festivals across North America. 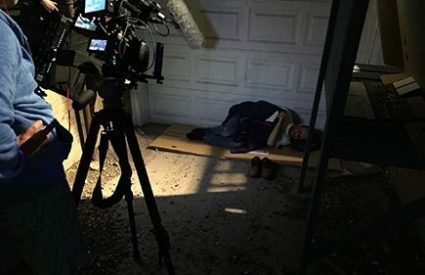 His performances often feature some of his work as a filmmaker as live moments are intertwined with his film creations. Derek also utilizes all of this experience when speaking to corporate audiences about teamwork and communication. Being a master story-teller, he has been praised as insightful and engaging. Through 20 plus years of experience in the entertainment industry, Derek’s skills have been finely honed and he has the unique ability to perform everything from large-scale illusions and epic routines to more intimate close-up and pure sleight of hand. Derek also has the unique ability of not only wildly entertain his audiences but also inspires them to embrace life and to live brighter, while leaving them with the knowledge that their life is a gift and they, themselves are valuable. It has been said about Derek, “Derek does not just perform magic, he IS magic”…and his optimism, zeal for life, and extreme skill leaves audiences energized, inspired and truly amazed. “Mystery, charm and extreme skill...Derek Selinger is one of the brightest stars in the world of magic." 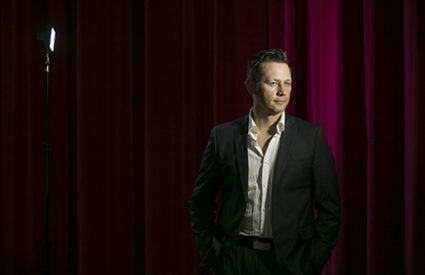 Derek Selinger’s extensive entertainment portfolio has made him the entertainer of choice for those seeking to create relevant, distinctive and engaging events. His diverse skills as a professional stage and screen entertainer – featured in Las Vegas, New York, Paris, Malaysia and more – enable him to stage large scale illusions as well as interact on a more personal level with the audience. Derek also uses his compelling, rare and entertaining ability to read minds: a major reason why corporate event coordinators continue to book him year after year for their corporate entertainment. Derek has created a number of signature entertainment packages designed to fit every need: a dozen shareholders needing a well-deserved break at the AGM, a morale boosting office party or a convention of thousands of delegates. Small or large, your audience will enjoy an experience that shatters “standard”. Pure sleight of hand, mind reading and the essence of the art of magic played out on a grand scale in a feature length theatrical performance. Through technology and screens, enjoy an intimate, up close encounter with Derek as he performs close-up magic with audience participation. A school performance and talk. Marvel at his Ninja-like abilities with playing cards and be inspired by stories of personal near-death experiences. Route Transportation & Logistics, Inc. Check availability or inquire about booking Derek for your next event!